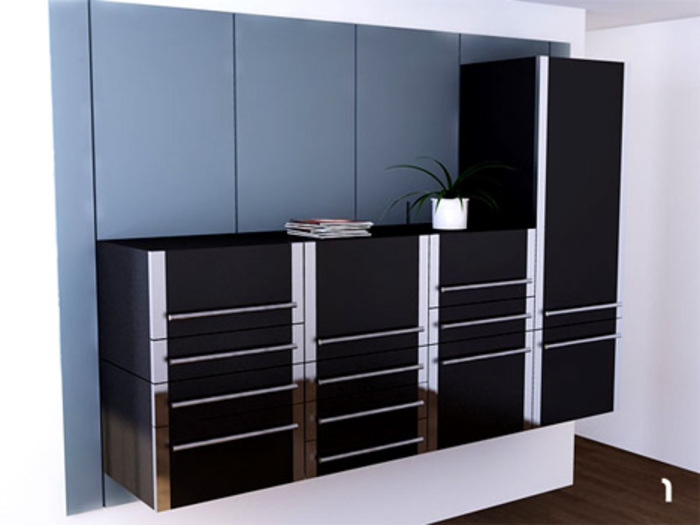 At first glance, these kitchen cabinets and drawers look appealing but simple and modern – black and silver storage spaces hung from the wall. 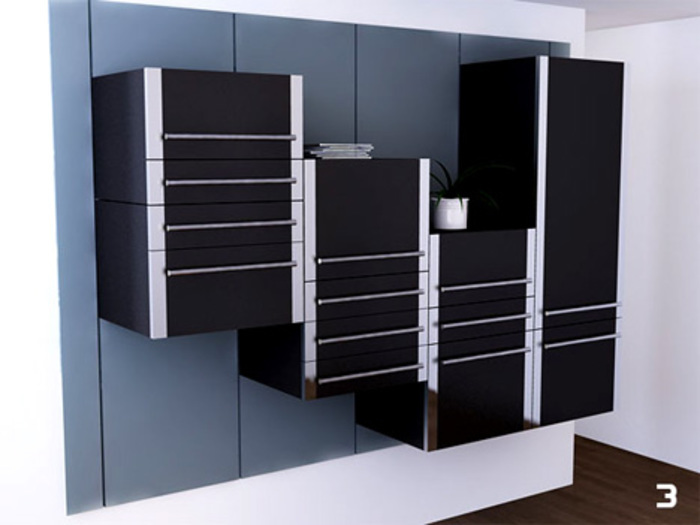 Closer inspection reveals that these are part of dynamic space-saving interior design system that maximizes function through movable wall units. Tucked between layers of sliding cabinetry, the essentials cooking can be found hidden at the core: stove, oven, faucet, sink with a preparation surface in between and a refrigerator to one side. Why stop at the kitchen? This same strategy could be applied to beds, televisions and other household objects in various rooms just as easily. When not in use, the constituent elements can be slid up and down to move them out of the way and create varying layouts and spatial configurations. Of course, those of you with some construction experience and keen eye for functionality in design will notice one small problem: unlike in these idealized illustrations, it would be very difficult to allow plumbing-or-piping-required fixtures to float freely in space. This intriguing concept design by Michel Cornu, Jean-Pierre Schoch, Mattia Brianza and Andrea Guarisco of Switzerland was unveiled at the “Kitchen is the Heart of the Home” competition. It doesn’t appear set for manufacturing, but the very existence of this smart space-saving modular kitchen speaks to the changing needs of many people. Rather than making do with immutable spaces that can’t easily adapt to changing circumstances, a large number of people are demanding more versatile options. 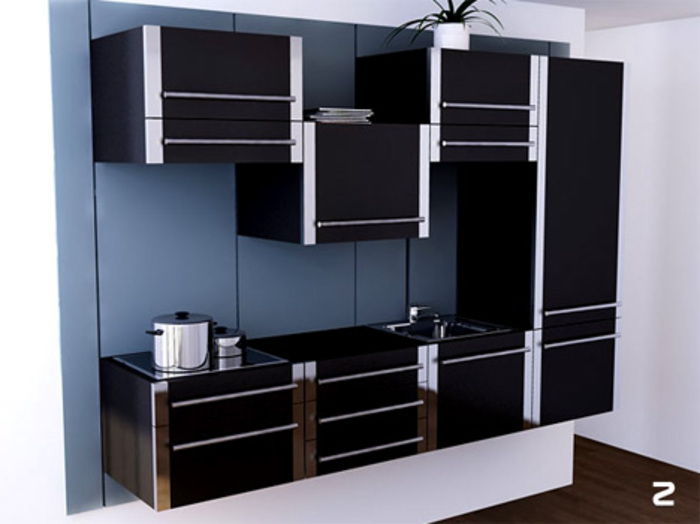 Space saving kitchen designs and other transforming and multipurpose creations make it much easier to live with increasingly tiny urban apartment layouts. Maybe someday, smart apartment complexes will come fully equipped with a host of modular elements that can move, shift, expand and contract at will, summoning entire kitchens from high up on a wall much like a Murphy bed.